Wow! 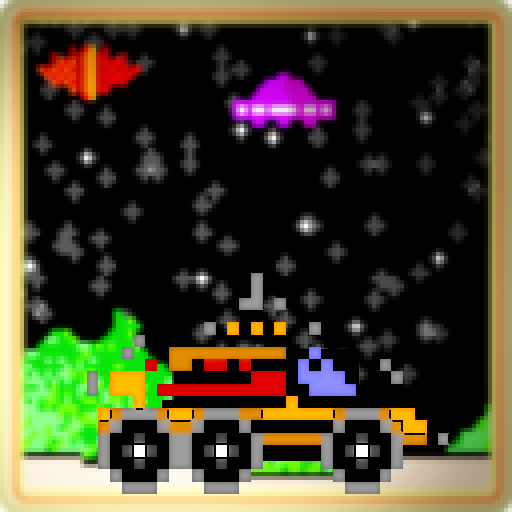 It's a long time since I've played Moon Patrol. 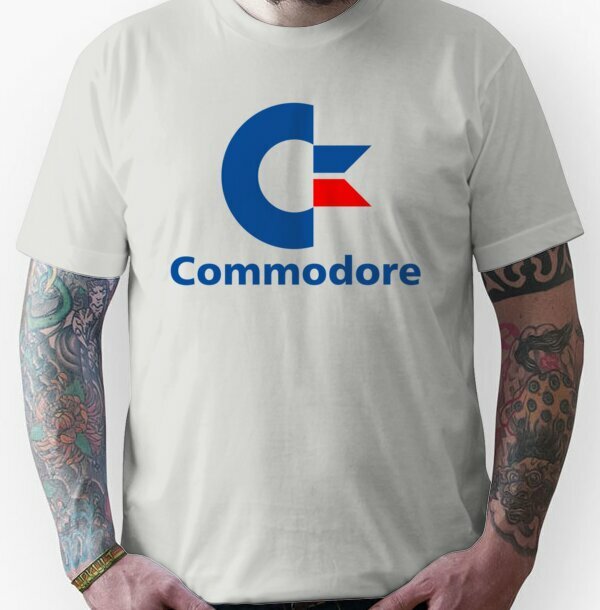 I think the last time was on my Atari 65XE way back in the late 80s sometime. The idea is pretty simple. 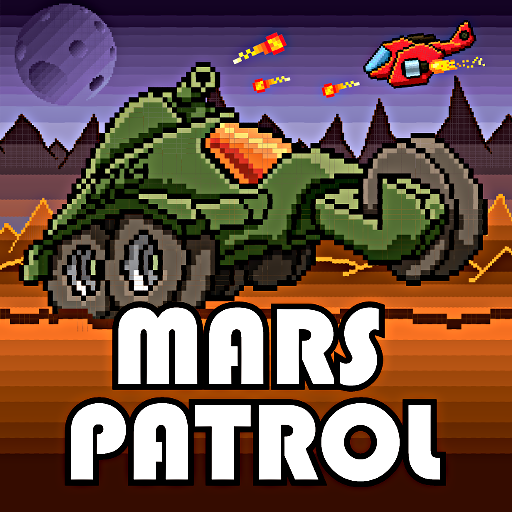 Jump over the craters and shoot your way out of trouble in this classic arcade game. The controls are shown on the start screen below. You can read about the history of the game beneath the game below. This is the PC flash game which you can play instantly for free. 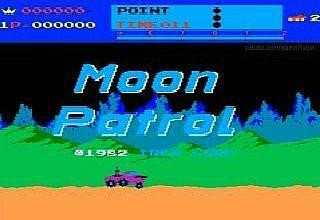 Moon Patrol was created by the Japanese video game developer Irem, and was released as a coin-op arcade game in 1982, and distributed by Williams Electronics in North America. Irem also went on to create one of the earliest martial arts/beat-em-up games Kung-Fu Master in 1984, and also the classic 1987 scrolling shooter R-Type. 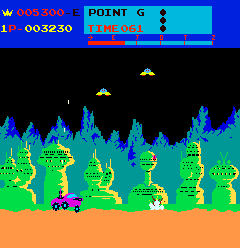 The player takes on the role of a lunar city police officer and is in control of a moon buggy driving on the moon's surface. Well, I guess that's what moon buggies are for! 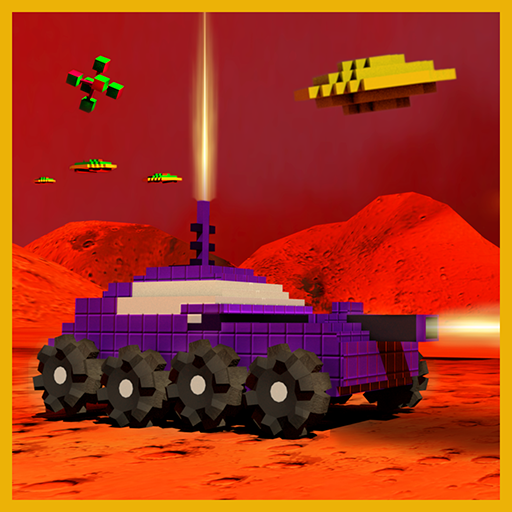 There are several hazards and enemies to avoid - craters, rocks, mines, firing tanks and UFOs. If you're not very good at multi-tasking (like myself) then you are likely to struggle with this game. It can be pretty challenging trying to time your jumps and fire at enemies coming towards you from the right of the screen at the same time. After playing a level a few times you will be able to memorise where many of the obstacles are, although it's all too easy to have a memory lapse and go plunging into a crater! Overall, I really enjoyed playing the game back in the 80s and it had an addictive quality that makes you want to keep on playing. It's one of those games that you may put on the shelf for a few months, but then come back to several times a year. Sadly, I can't do that now as my Atari computer was thrown on the scrapheap many moons ago, but, at least, I can play the online flash game. This is the Atari 2600 game cartridge featuring the silver label design that was on their software for a few years during the 1980s. The game was ported to at least 20 consoles and computers. Of course, the 2600 version looked very different to the arcade version due to its hardware limitations. 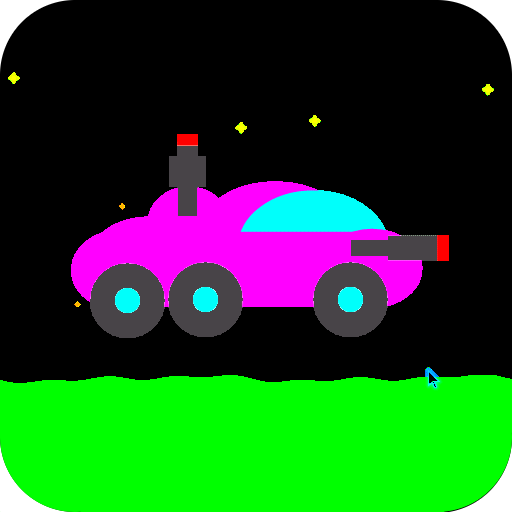 The moon buggy looked pretty rubbish, but there was parallax scrolling with two backgrounds and also a foreground. 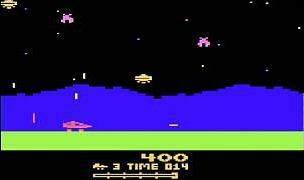 There was music, too, and this was one of the first games for the console to feature music.